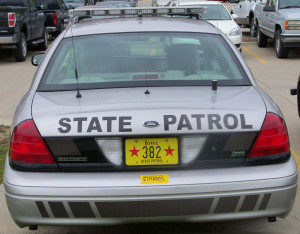 The Iowa State Patrol says a Fort Dodge woman was killed in a two-vehicle accident Thursday afternoon. The accident happened on the Kenyon Road Bridge in Fort Dodge when a westbound 2006 Chevrolet Impala driven by 89-year-old Marvin Hulse of Fort Dodge crossed the raised median and struck an eastbound 2003 Dodge Dakota pickup truck driven by David L. Stone of Harcourt. A passenger in the Hulse car, 85-year-old Ruth Smid of Fort Dodge died at the accident scene. Hulse was airlifted to a Des Moines hospital for treatment of his injuries. Stone was transported to Unity Point Trinity Regional Medical Center in Fort Dodge for treatment and was reported to be in stable condition.